SAN JOSE, California -- The mother of a California teen who stowed away on a flight to Hawaii tells Voice of America that her son had recently learned that she was alive after being told by his father she had died. Speaking with VOA from a refugee camp in eastern Ethiopia, mother Ubah Mohamed Abdullahi said she felt bad that her son risked his life and that her dream is to live with her children in the United States. FBI agents say surveillance video shows the 15-year-old jumping out of the wheel well of a Hawaiian Airlines jet on a Maui tarmac Sunday after surviving a cross-Pacific flight from San Jose, California. Abdullahi said her ex-husband took their three children to California without her knowledge, and that she hadn't heard from them since 2006. 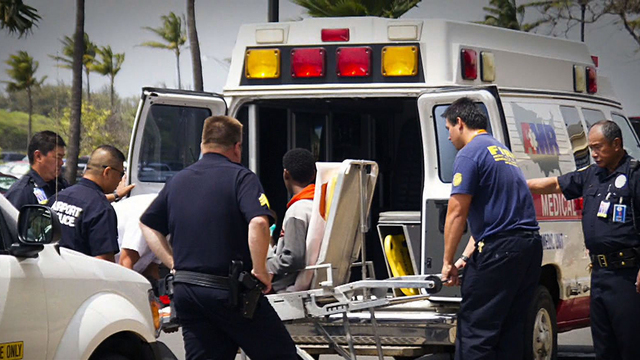 Abdilahi Yusuf Abdi, who said he is the boy's father, told VOA Wednesday that his son - who is still hospitalized in Honolulu - missed Africa, where they used to live, and had been struggling in school.